The recent Otaki College ball was another outstanding success with attendees elegantly dressed to The Great Gatsby theme and most arriving in either 1920’s vintage cars or 1950-60’s classics. Held in the college hall, the interior had been transformed into a ballroom of the era complete with tables and chairs for reclining and “shock! horror!” a working photo booth! The prize for the most innovative form of transport would have gone to the couple arriving in a beautifully decorated tuktuk (bicycle) complete with swathes of fairy lights. 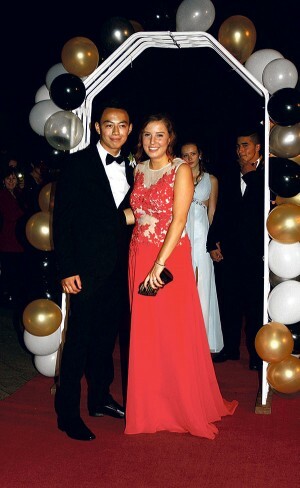 The local classic car owners had a busy evening ferrying the dancers to the ball with a continual stream of vehicles delivering their passengers to the red carpet entrance, where they were assisted and greeted by commissionaire, Daniel Riggs. 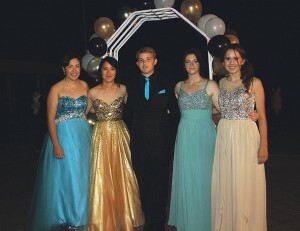 Walking the red carpet, through the balloon covered archway, they were welcomed by the Heads of School: Alyssa Kata, Alice Young, Hamish McMillan, Lisa-Marie Turner and Phoebe McInerney and principal Andy Fraser before they entered the ballroom. During the night there was a variety of modern dances and some waltzes and supper was served by some of the younger students. “Our thanks to Ann Hagen and her team for organising the ball, and to those helping in the kitchen,” he said. Head students from several of the neighbouring colleges in Levin and Paraparaumu also attended.